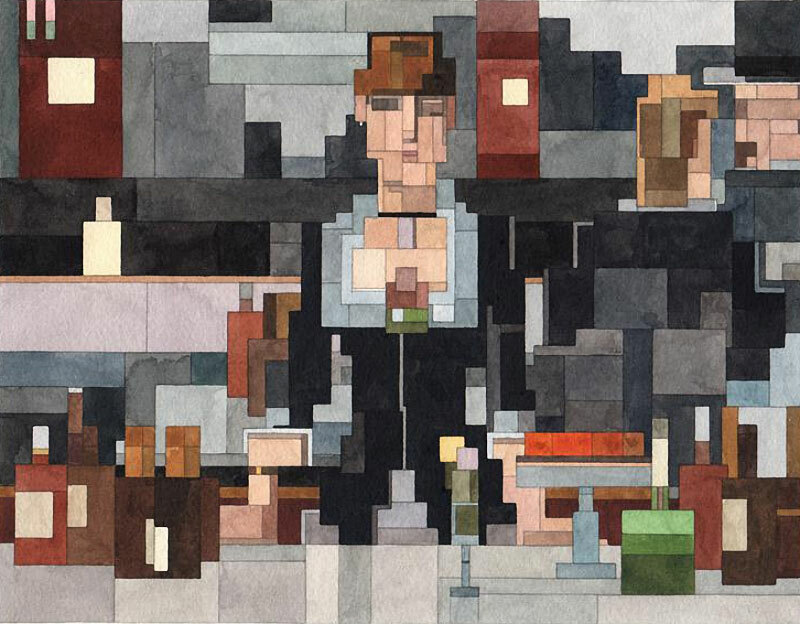 American artist Adam Lister's geometric watercolors inspired by his love for 8-bit graphics found in retro Nintendo and Atari video games aims to breakdown, rearrange and reference iconic images from art history and pop culture. 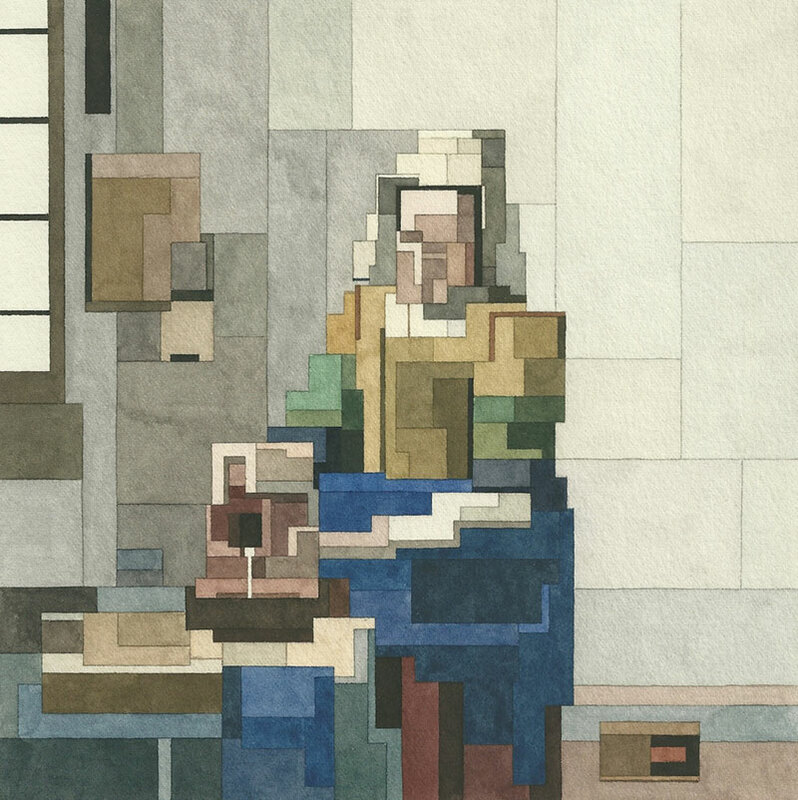 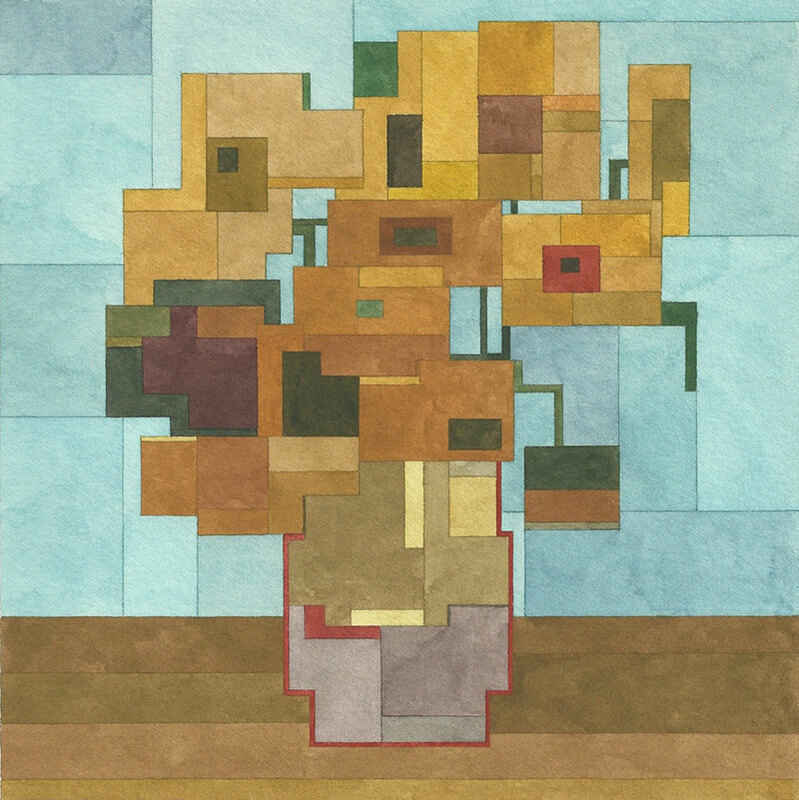 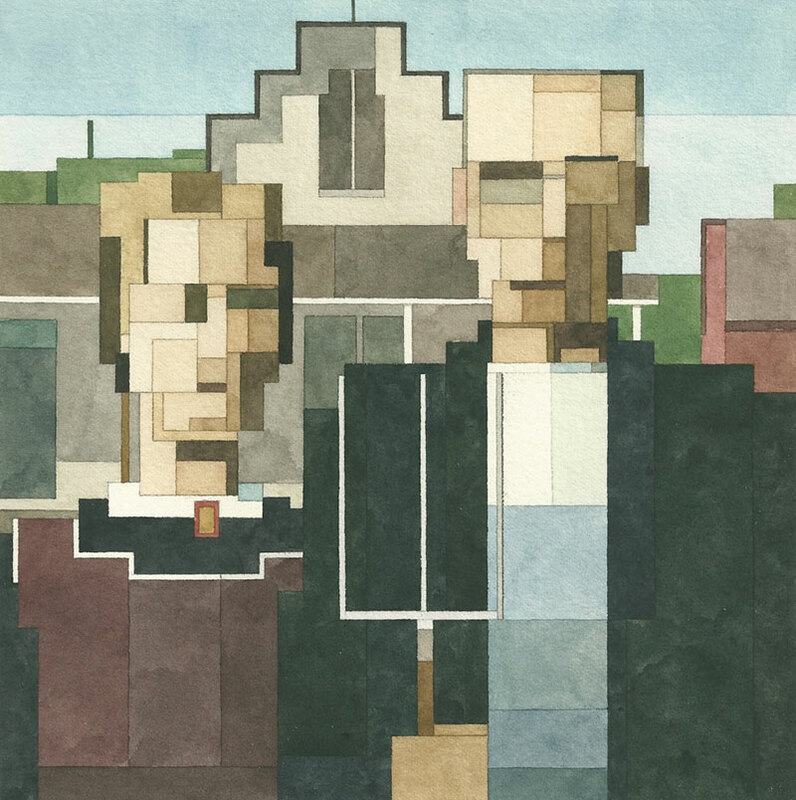 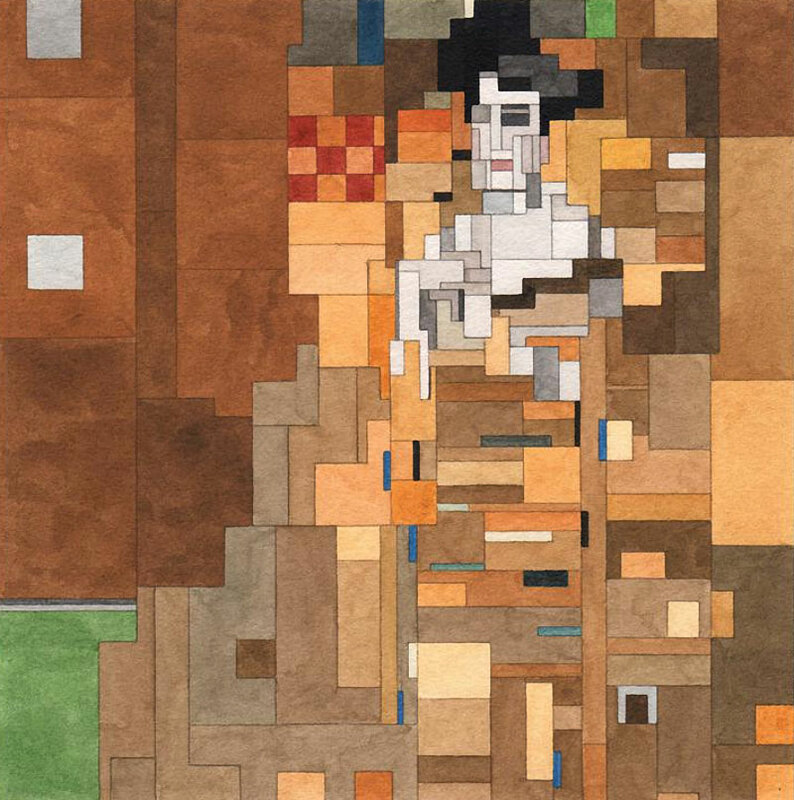 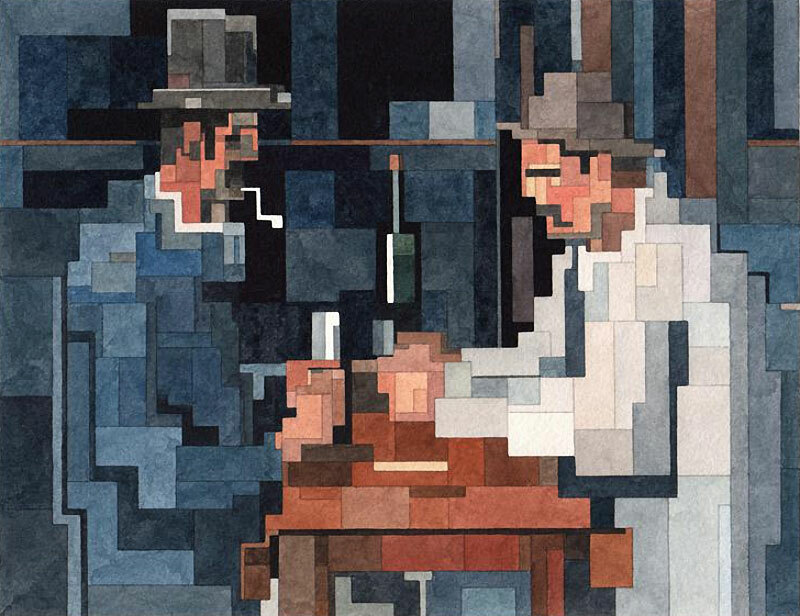 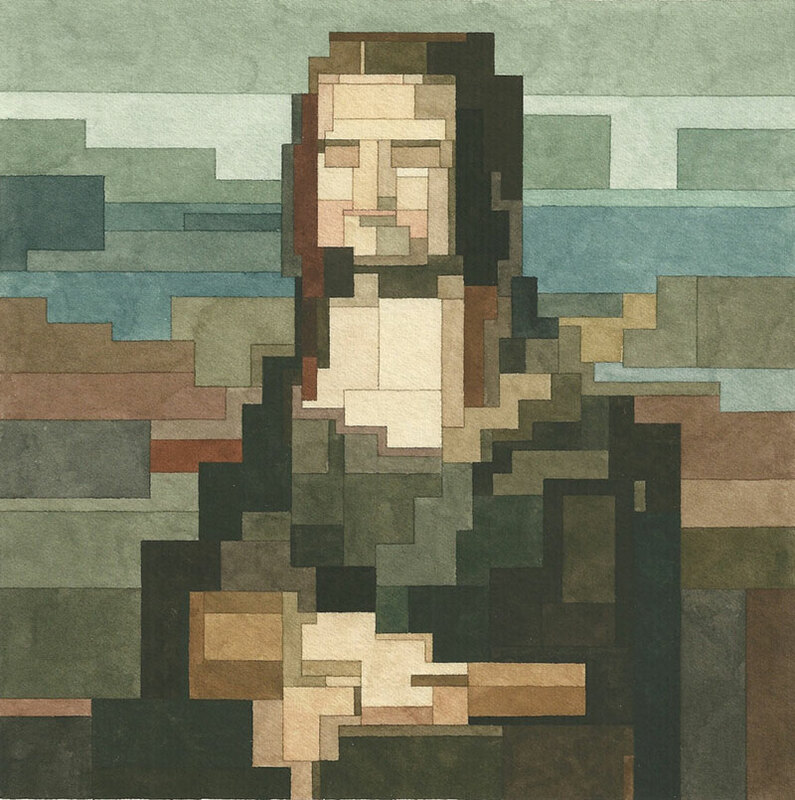 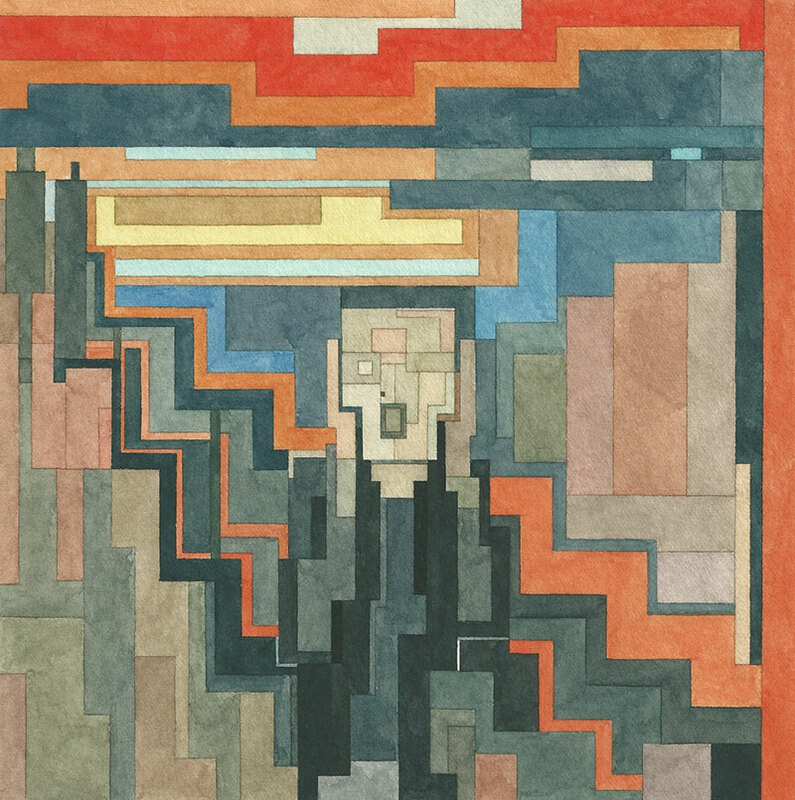 I particularly like his interpretations of classical and modern artworks that takes their cue from Cubism but using the pixelated image as a guideline. 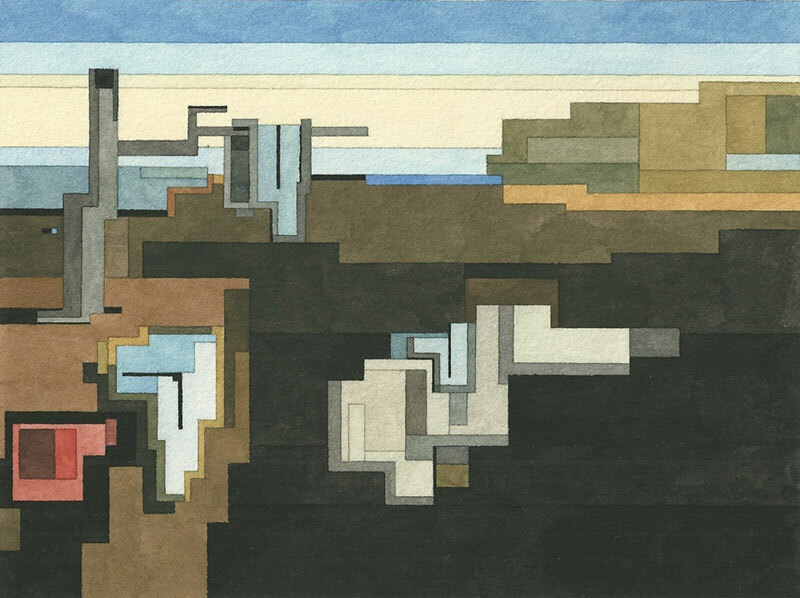 Lister uses an angular method of visual processing to restructure and recompose the popular paintings by flattening and simplifying the reference images, while juxtaposing soft washes of color with rigid drawing to create visually interesting compositions. 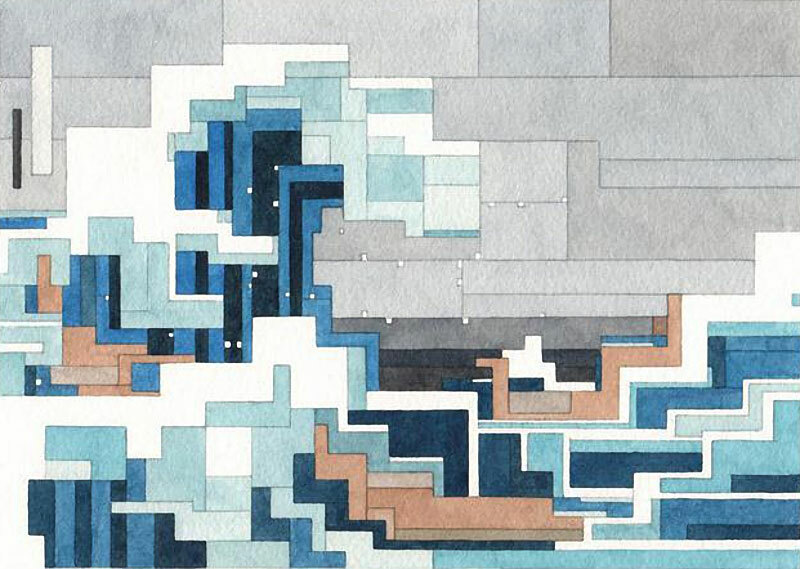 American artist Adam Lister's geometric watercolors inspired by his love for 8-bit graphics found in retro Nintendo and Atari video games aims to breakdown, rearrange and reference iconic images from art history and pop culture.